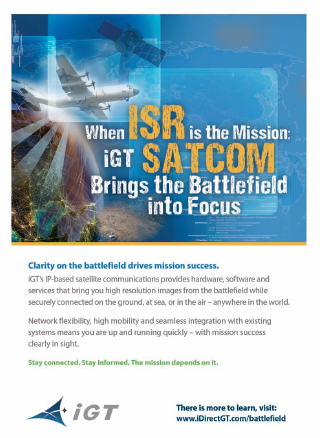 In the modern era of military missions, satellite broadband has proven itself to be hugely beneficial in enabling connectivity virtually anywhere, especially for warfighters in remote areas. However, there’s another role that many don’t recognize, even though this role has been just as vital to ensuring mission success—training. 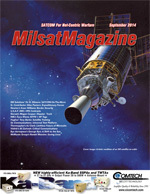 Since the early 1990s, satellite broadband has helped to keep military personnel fully educated for the task at hand by enabling the delivery of distance learning programs and remote job training through two primary vehicles: the Government Education & Training Network (GETN), and Defense Education& Training Network (DETN). 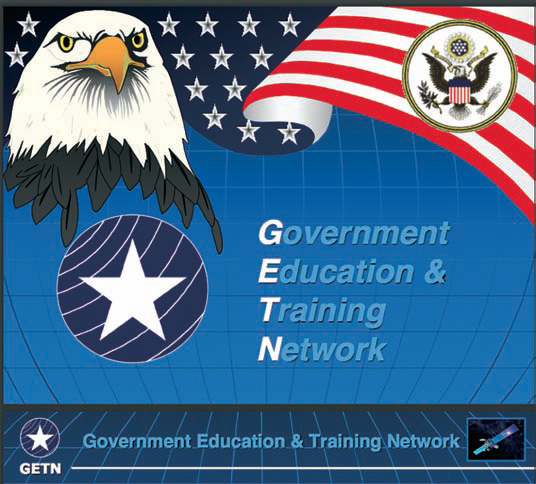 GETN was pioneered by the Air Force in 1992 in an effort to encourage agencies to share their distance learning programs and common facilities. Shortly thereafter, DETN was developed within the GETN community to serve the Department of Defense (DoD) specifically, while simultaneously sharing technology, like satellite, and programs across federal organizations through GETN. 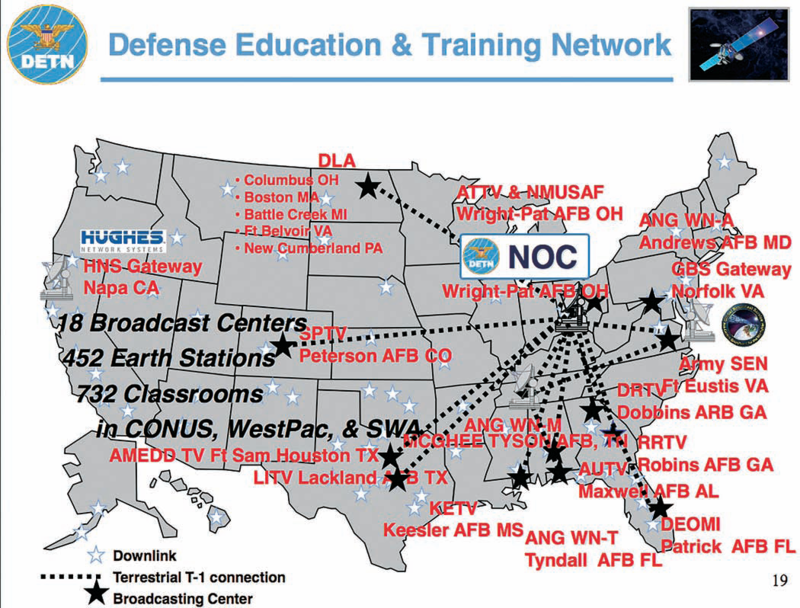 Since their inception, these networks have been used extensively—with more than 10,000 hours broadcast every year—for distance learning and training programs on virtually any subject that can be taught in a platform environment, such as combat equipment repair and medical training. Why are agencies selecting this distance method over other, in-person training programs? The answer is simple and all comes down to cost. Satellite-enabled training programs are ubiquitous and cost-effective, available virtually anywhere in the contiguous United States (CONUS) and in select areas overseas. In fact, DETN provided over 215,000 student-hours of training last year at an estimated cost to the Government of only $2.50 per student-hour of training. 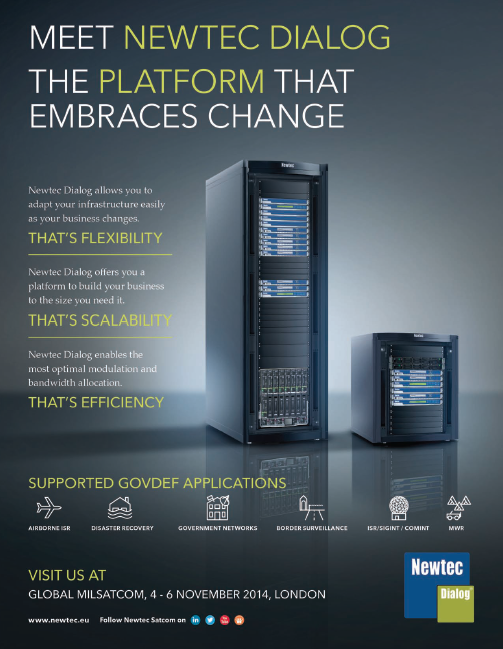 Using GETN and DETN for training, the DoD community saves millions of dollars each year on travel expenses. In the past, staff ranging from executives to warfighters would attend in-person training sessions, which meant airplane tickets, hotel rooms, and even food, all had to be pre-arranged and paid for by the agency. Now, with GETN and DETN, agencies can participate in training programs at low cost and in virtually any environment. These networks meet a variety of training and education needs, offering field courses on subjects like aircraft maintenance and terrorism response, and even personal training on topics ranging from leadership and finance to professional military education. While proven to be beneficial, they are now ready for an update, with two major initiatives underway to improve them. To expand DETN, more broadcast centers will be installed, both CONUS and outside the contiguous U.S. (OCONUS), to provide content uplink capabilities for all DOD health centers, hospitals, and clinics. This will mean that eventually all DOD health facilities will have immediate access to training programs needed to keep personnel informed on the latest advances and practices in medicine, improving the quality of healthcare available to DOD patients. Currently in the early stages of implementation, funding is being received from the DoD/Veterans Affairs (VA) Joint Incentive Program. Meanwhile, GETN is also obtaining a facelift. To keep up with technology advances, the network has recently upgraded to HD television systems with high-threshold audio return, providing improved quality experiences to users. Due to the cost of technology constantly declining as new technologies release, this higher-quality training will be available at a lower cost than previously experienced. These new initiatives, while imperative for the growth of these programs, also serve another purpose—they offer significant cost savings for agencies in a challenged budget environment. With the expansion of DETN, fewer personnel will need to travel for conferences and training, meaning these monies can be allocated elsewhere. At the same time, GETN improvements will vastly decrease the cost per hour of broadcasting lessons, which adds up to a savings in the millions of dollars across the various agencies every year. Thanks to satellite, the future of GETN and DETN looks bright. With highly secure satellite broadband delivery networks available virtually everywhere, and as bandwidth capacity grows and costs continue to improve, there is a huge opportunity to rapidly expand training programs of all subject matter. As DETN continues to expand its reach and increase the number of student-hours of training, we can look forward to seeing how this cost-effective medium impact in the world of defense training in the years ahead. “Tony” Bardo has more than 30 years’ experience with strategic communication technologies that serve the complex needs of government. Since joining Hughes in January 2006, Bardo has served as assistant vice president of Government Solutions, where he is focused on providing Hughes managed network broadband solutions and applications to Federal, State, and Local governments. 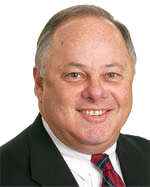 Bardo also served as Chair of the Networks and Telecommunications Shared Interest Group (SIG) for the Industry Advisory Council, an advisory body to the American Council for Technology (ACT). Before joining Hughes, Bardo was with Qwest Government Services and he also spent 14 years with the government markets group at MCI where he held the position of executive director for civilian agencies.